Slowly but surely the images of the 1940 Census are becoming available online. It will take some time for all the images to be uploaded. So have patience…we have waited this long! Remember – there is still a need for volunteers to index the images – be a part of history – sign up today at the 1940 U.S. Census Community Project! 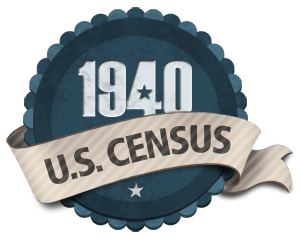 Ancestry.com took delivery of the 1940 census from the National Archives at 12:01 a.m. on April 2, 2012. Currently we are in the process of loading all 3.8 million census images online. Once an image is online, you can browse it to see the information included on that page. When all images are uploaded, you’ll be able to browse by enumeration district (see below for more information) to find your family’s neighborhood.